New Zealand has much to offer tourists. From beautiful, endless countryside to visits to the Lord of the Rings set, there’s something for everyone. Ideal Wine Company review where every wine lover should be visiting this year. Wine lovers are also well catered for in this area, as figures show that New Zealand is becoming ever more popular as a wine tourism destination. If you’re a wine lover, you’ll want to visit New Zealand this year! In fact, the recent figures from trade body NZ Winegrowers shows that wine tourism has sharply increased with a quarter of all tourists visiting a vineyard or winery while in New Zealand. 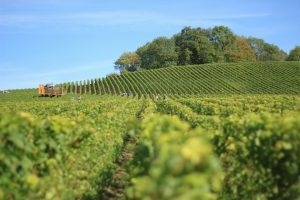 The figures state that the 24 per cent of tourists from overseas that visit vineyards has leapt from 13 per cent just four years ago. So far in 2017, New Zealand has welcome around 3.65 million visitors to its shores. This is an increase of 10 per cent on the same time in 2016, according to figures from the NZ government. The trade body (NZ Winegrowers) has been quick to capitalise on the increase in tourism by launching a brand-new website. The site acts as a hub for information on wineries and vineyards for tourists to visit. The new website contains information on more than 450 wineries and vineyards. Visitors can filter by regions and by four kinds of experience: vineyard tours, wine tastings, dining and staying at vineyards that offer accommodation. Auckland offers the most wine and vineyard experiences with 90 to choose from. Even the area with the least wine attractions in the country (Gisborne), there are still 14 to discover. There’s a special day for everything these days, and everyone’s favourite sparkler Prosecco is no different. This year’s National Prosecco Day fell on 13 August 2017, and was celebrated in style, particularly in New York. Ideal Wine Company discover what’s so tasty about this year’s National Prosecco Day. 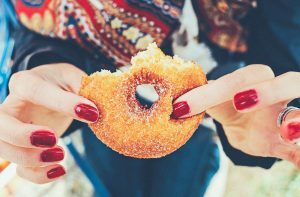 Ruffino, the major Italian winemaker, got together with The Doughnut Project to come up with a match made in heaven – Prosecco flavoured doughnuts. Prosecco doughnuts are the new craze! A series of cocktail themed doughnuts had already been showcased celebrating New York bars by The Doughnut Project, so they were the obvious choice for the Prosecco version. The tasty treats were on sale at The Doughnut Project’s shop on West Village Morton Street in New York until 20 August. They predictably went down a storm with New Yorkers. The Prosecco doughnut is the latest in a long line of products aimed at bringing the fizzy favourite ‘out of the bottle’. Earlier in 2017, a UK based company called Pops created Champagne and Prosecco Bellini flavoured popsicles. Also on trend were a variety of sparkling wine infused products including wine lollipops and gummy bears flavoured with rosé. It’s no surprise that Prosecco has captured the hearts and minds of consumers happy to buy spin off products. 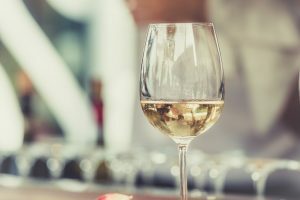 A survey taken recently by the Wine and Spirit Trade Association (WSTA) showed that a whopping 97% of those interviewed between the age of 18 and 24 drank Prosecco. The report also showed that sales of the popular wine leapt by 12% over the last year. 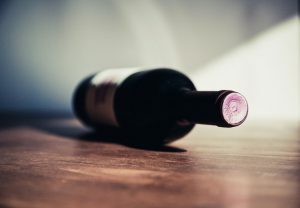 Even more impressive, a survey by accountancy group UHY Hacker Young taken in 2016, showed that sales of sparking wine throughout the UK increased by more than 80% from 2011-2016. Increased consumption is expected to continue with predictions of an increase of around 19% by 2020. Tuscany is a beautiful place for a holiday, particularly if you’re a wine aficionado. 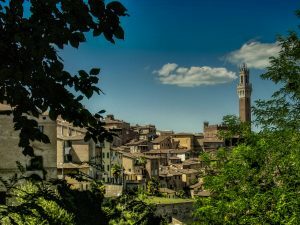 There’s something magical about the rolling Tuscan countryside, with culturally rich cities sitting in among ancient greenery. Ideal Wine Company discusses why this is a perfect getaway destination. And, to create a holiday destination perfect for people who love both northern Italy and wine, a new wine ‘town’ has just opened in Bolgheri. Situated on the Tuscan coast, this ‘World Wine Town’ offers tastings, restaurants specialising in wine, self-catering apartments and even holograms of Italian winemakers. The wine resort opened last month (June 2017) in the recently restored farm estate of Casone Ugolino. It’s taken 15 years to develop and cost €12 million, which came from banks and private investors. Why should you visit Tuscany’s wine town this summer? A wine museum is situated just on the edge of Castagneto Carducci. This three-storey celebration of the region’s wine history boasts the holograms of Gaddo della Gherardesca, Niccolo Incisa della rocchetta and Piero Antinori, all presenting stories of their wine making family history. The huge museum space was designed by Academy Award winner Dante Ferretti and promises to wow visitors. The museum costs just eight euros to get in, and of course this includes a wine tasting. There are three restaurants in the resort, including a faithful reproduction of an Old Tuscan inn. For a real taste of the old world you can eat at Osteria Vinality, or go for Mercato del Borgo, which serves up very local food. All of this is ideal for the wine lover’s perfect holiday. They can even stay in the self -apartments and use this wine town resort as the base for their Tuscan holiday – if they can bring themselves to leave its grounds that is! The resort is planning to open a wine education centre in 2018, to catch the interest of the next generation of wine lovers.